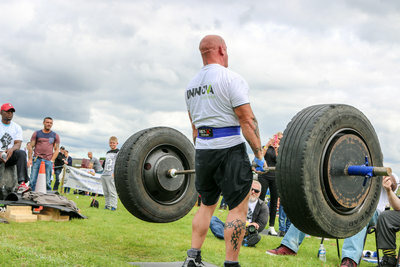 Innova Solutions challenged competing strongmen to pull apart two steel plates that had been fixed together using one of their premium NovaBond products. 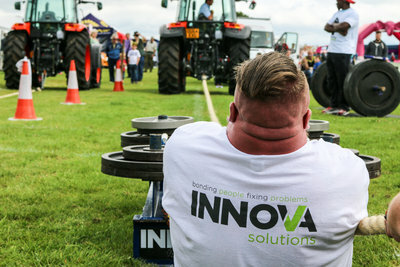 Despite offering a cash prize of £500, some of the competitors took on the challenge, but then a lot backed out, even though they’d just pulled a Kubota M9960 tractor that weighed over 2500kg! 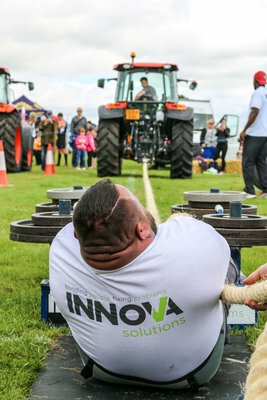 This event took place at, The Trawden Show, a prestigious Lancashire agriculture show where Innova Solutions sponsored the show’s first ever strongman competition. 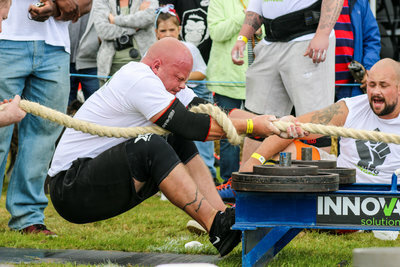 The daunting challenge consisted of two steel plates that had been sealed together using NovaBond SignFix OP110G, a grey foamed acrylic tape with a paper liner. The firmer acrylic core yields incredible peel strength and superior holding power, as proven by the competitors. The NovaBond range was created to withstand extreme temperature, water, most solvents and chemicals. 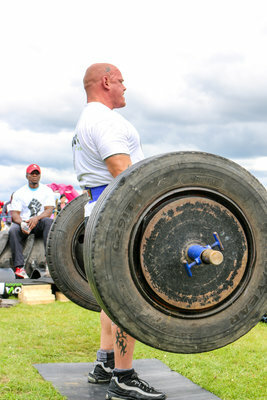 Refereeing for the day was Mark Felix, a regular competitor at the World’s Strongest Man, and with a deadlift of 893lbs. 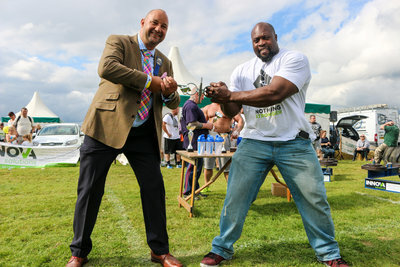 He was also tempted with the cash prize incentive to take on Innova’s strongest glue. For more information contact press@3manfactory.co.uk or 01772 921103. 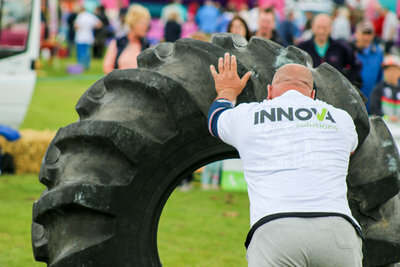 Innova Solutions have been trading for 13 years. There’s strong and there’s NovaBond strong!